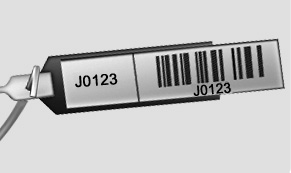 The key code number is stamped on the bar code tag attached to the key set. Should you lose your keys, this number will enable an authorized HYUNDAI dealer to duplicate the keys easily. Remove the bar code tag and store it in a safe place. Also, record the code number and keep it in a safe and handy place, but not in the vehicle.